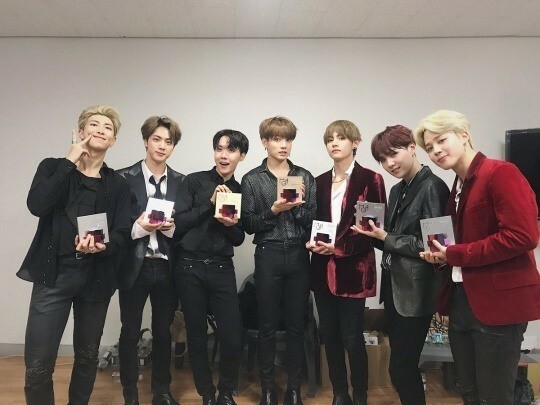 BTS has become the first K-pop group to be included on Bloomberg’s list of 50 most influential people of the year, called “The Bloomberg 50,” which was revealed Friday on the US media outlet’s website. “BTS ranked No. 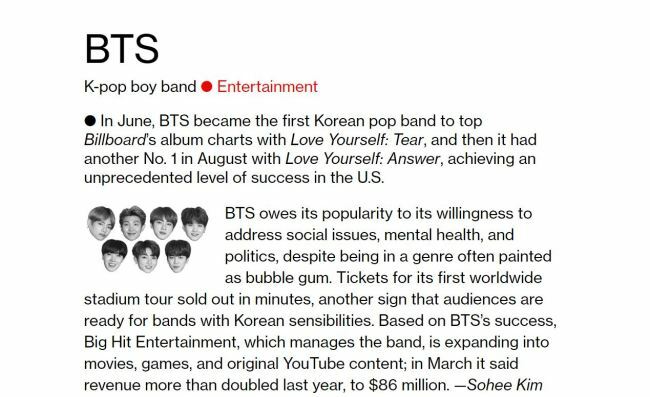 1 on Billboard’s album chart with its ‘Love Yourself Tear’ and topped the chart again with another album ‘Love Yourself Answer,’ showing unprecedented success in US,” Bloomberg said on why BTS made it to the list. According to the US media outlet, the group’s popularity stems from its willingness to address social issues, mental health and politics, not just lighter topics. BTS is also the only Korean entry on the list this year.